Cuteness overload! For your ease, you can buy the two smallest size limited editions from the March 2019 releases together. 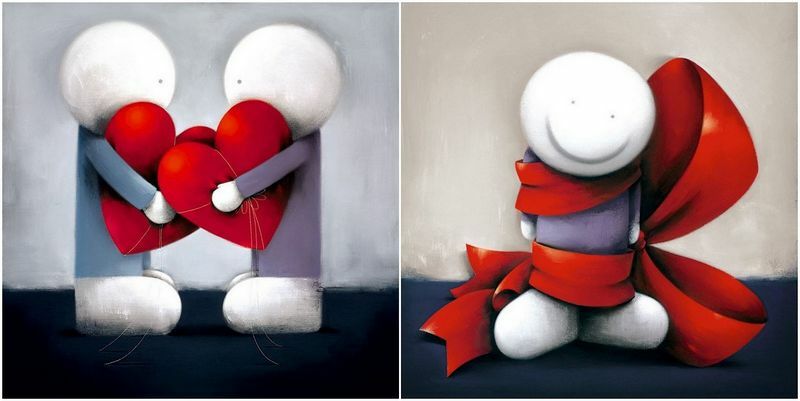 ‘Looking After My Heart’ & ‘Wrapped In Love,’ will come as two separate framed items. These will make a lovely addition to your home and will bring warmth and happiness to a lounge or bedroom. Of course, being matching sizes they could be arranged side by side, on the same wall or any other layout you can think of. 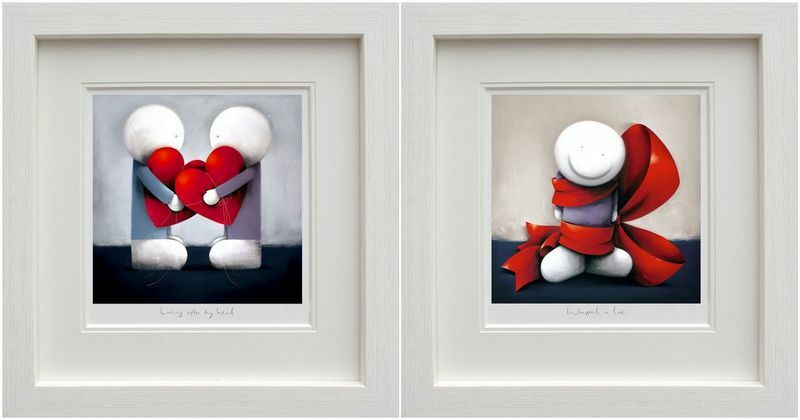 These two limited editions have proved fast sellers, as it has been some years since Doug has produced such small (almost square) images with so much red in them – hearts and ribbons always being popular. Go on...your tempted aren’t you!